Where on Earth? 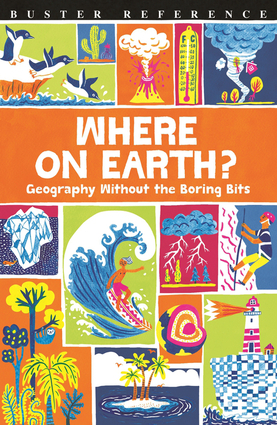 is jam-packed with all of geography's greatest hits, with all the boring bits taken out. From how to make a raindrops to cool ways to remember the world's wonderful waterfalls, longest rivers, and most desolate deserts—plus all the countries and continents in which these fantastic features are found. The perfect learning companion to help all school children get to grips with discovering the world around them. James Doyle is the author of I Wish I Knew That: Geography, A Young Scientist's Guide to Faulty Freaks of Nature, and Zombie Catcher's Handbook.